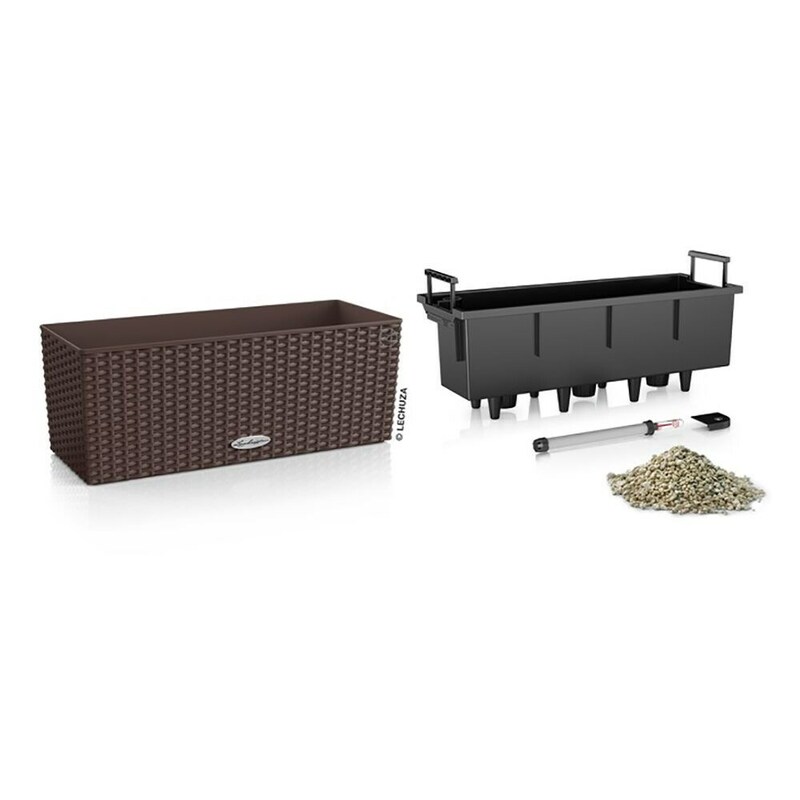 Ideal for busy gardeners, these Balconera self-watering troughs allow practically effortless growing of herbs, flowers, foliage plants, strawberries, etc in any small space, indoors or out. 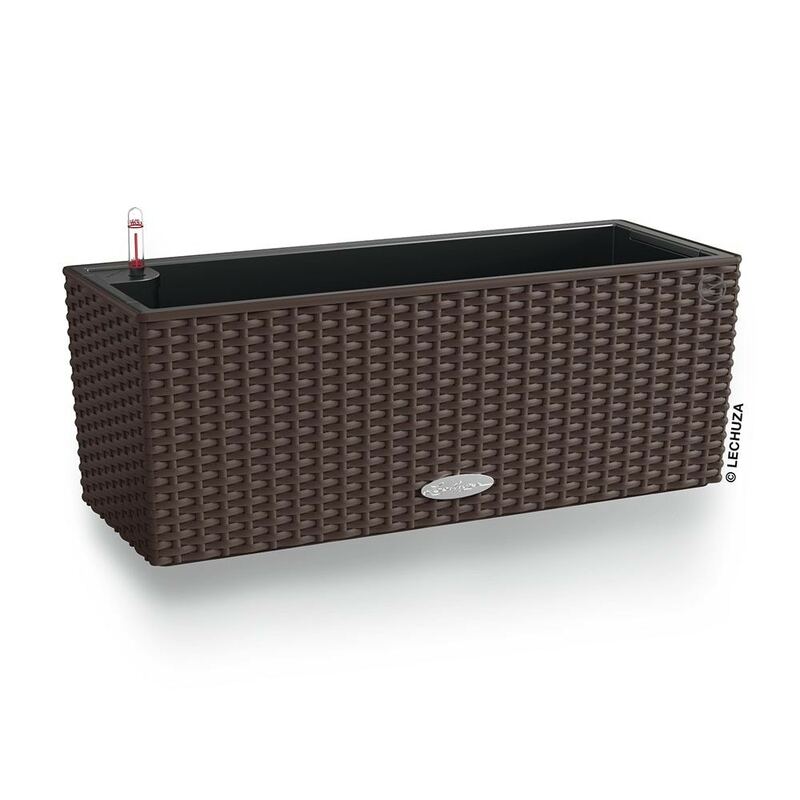 Made from lightweight weatherproof resin with a rustic rattan-effect finish, each planter includes a matching liner, 3L reservoir with water level indicator and overflow valve with plug. 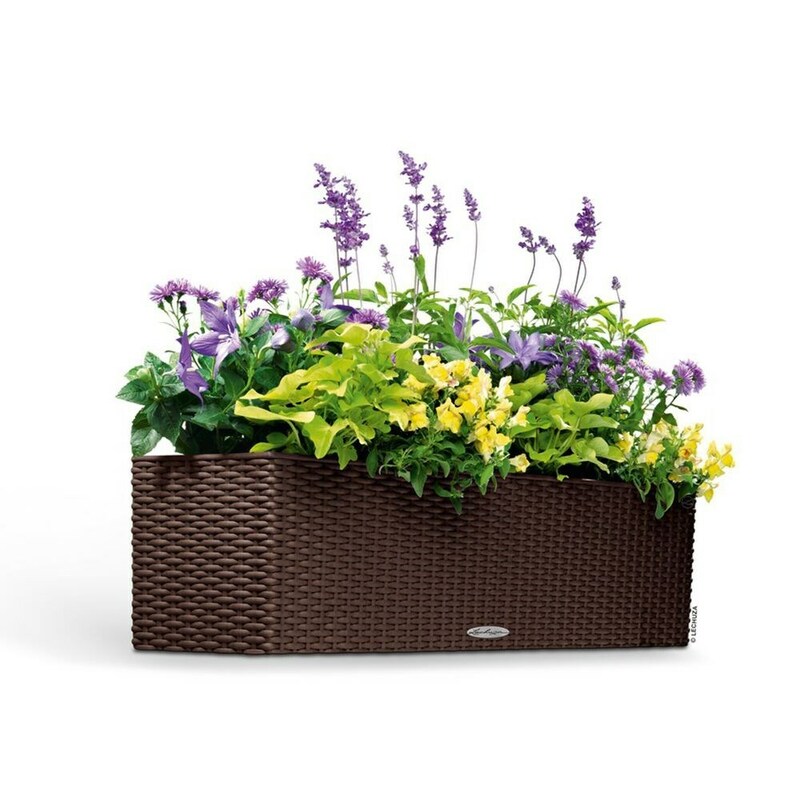 Handles on the liner make it easy to remove for planting, as well as bringing in plants for winter storage. Just plant it up, drop it in the trough, fill the reservoir and plants will drink as needed. The water gauge will show you when it’s time for a top up, and the overflow valve will ensure any excess drains away. Suitable for indoor or outdoor use. 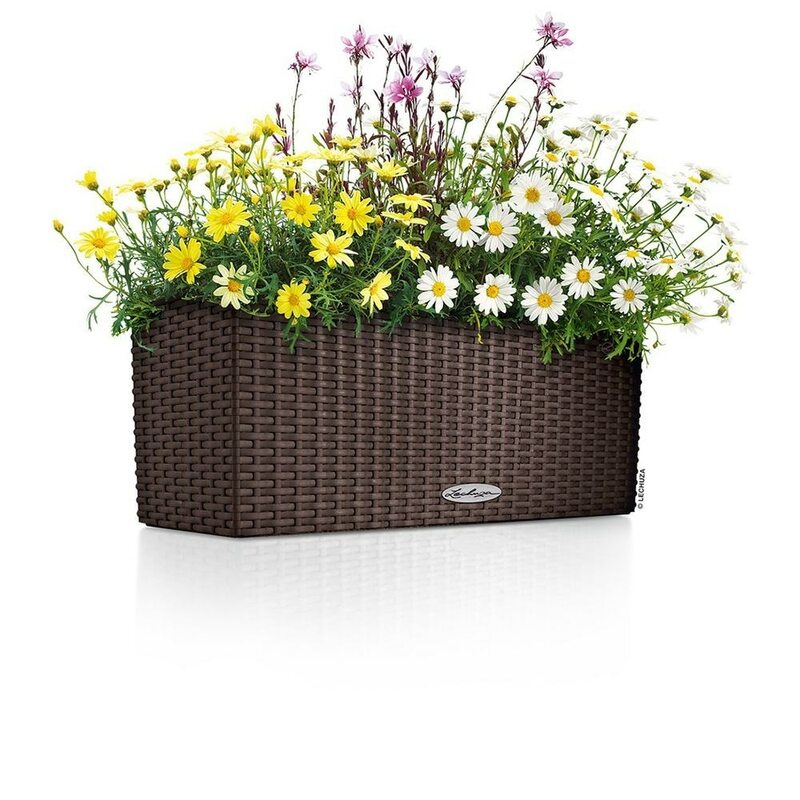 Supplied with easy-to-follow planting instructions and granular substrate, ready to plant.